3.9 out of 5 based on 77 bloggers and 8 commenters. 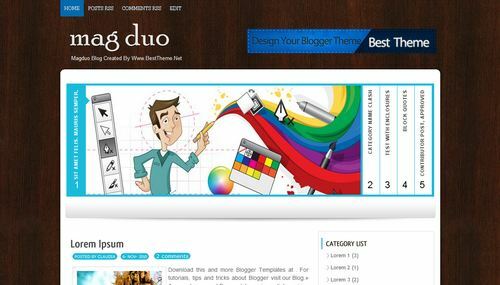 Magduo is a free premium blogger template adapted from WordPress with 2 columns, magazine-styled, right sidebar, rounded corners, slider and posts thumbnails. I want to widget like Addin aor some other social Share, where should I put the code ? I want to use it, but date appears as “undefined” or not appears all fields (day, month, yar). I’m brazilian and the date format in Brazil is different from US. Here we use DD/MM/YYYY. What I can do to correct the date on my blog? Thanks. Jéfte, por favor lee las preguntas frecuentes (FAQ’s).